"I think that commercialization of care is a big mistake. Health care is a sacred mission. It is a moral enterprise and a scientific enterprise but not fundamentally a commercial one. We are not selling a product. We don’t have a consumer who understands everything and makes rational choices — and I include myself here. Doctors and nurses are stewards of something precious. Their work is a kind of vocation rather than simply a job; commercial values don’t really capture what they do for patients and for society as a whole. Systems awareness and systems design are important for health professionals but are not enough. They are enabling mechanisms only. It is the ethical dimension of individuals that is essential to a system’s success. Ultimately, the secret of quality is love. You have to love your patient, you have to love your profession, you have to love your God. If you have love, you can then work backward to monitor and improve the system. Commercialism should not be a principal force in the system. That people should make money by investing in health care without actually being providers of health care seems somewhat perverse, like a kind of racketeering." 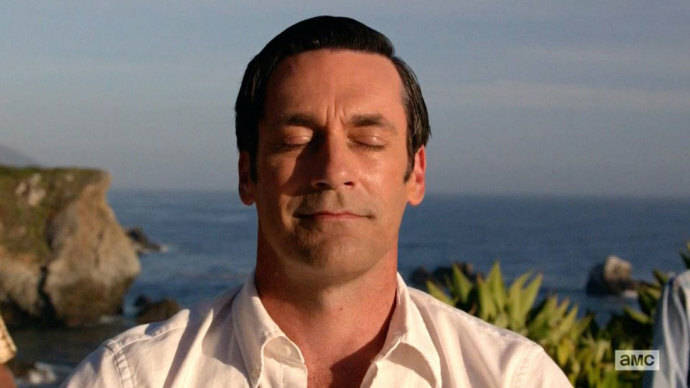 Many of us recall the final scene of Mad Men where Machiavellian dealmaker, philanderer, and ad mogul Don Draper sits in lotus position finding either true inner peace or the next cynical direction from which to profit. This scene came to mind as I read another apparent conversion experience by Robert M. Wachter, MD in his recent opinion piece in the New York Times on how the metric measurement business fails physicians and teachers. Remarkably, Dr. Wachter, once the Chairman of the American Board of Internal Medicine (ABIM) that is responsible for "continuously" measuring, re-testing, and re-certifying US physicians, seemed to pivot from his former self by quoting a few of Avedis Donabedian's words on quality assessment suggesting "the secret of quality is love." Unfortunately, Dr. Wachter conspicuously failed to acknowledge the full context of Donabedian's words. 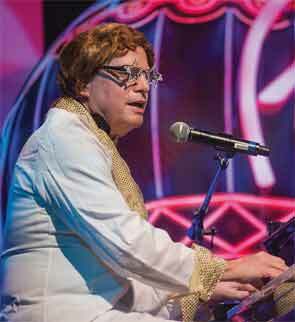 Robert Wachter, MD, as "Elton John"
I suppose if he can transition from a physician executive to a "down to earth" Bob Wachter, MD hitting "high notes" as Elton John at the Mandalay Casino while simultaneously profiting from a company that now under federal investigation for overbilling Medicare, why not? Such is our current reality of politics, medicine, and corporate cronyism. It was nearly four short years ago that Dr. Wachter wrote that we needed the ABIM's Maintenance of Certification program "more than ever." Perhaps the lucrative Digital Party in medicine was just too big for the ABIM leadership and the members of its Foundation to ignore. At the time, those in Wachter's World held the view that assuring physician quality meant physicians not only had to be re-certified every ten years but soon had to participate in some form of the ABIM's measurement program every two years for the sake of "external stakeholders and a troubled public." As a result, physicians were required to perform unproven practice improvement exercises, perform un-monitored research on themselves, and become glorified data entry personnel to continuously "maintain" their "board certification" or risk losing their right to practice. All of these exercises were subsequently revealed to be primarily for the medical industrial complex's extraordinary monetary gain and undisclosed political activities. Such "love," indeed. The expanded ABIM board certification requirements after 1990 have served as the goose that laid the Golden Egg for condo purchases, chauffeur-driven Mercedes rides, spousal travel fees, undisclosed corporate consulting arrangements, corporate mergers, political influence and the program's continuing transition to Assessment2020 - much of these occurring while Dr. Wachter served as a Director or Chairman of the ABIM. For the ABIM and its parent organization, the American Board of Medical Specialties (ABMS), success in the digital medical world still appears to mean the doctor-patient relationship has to be owned, bartered, and commoditized to serve their bottom line without really understanding all that this entails to the doctor, their patients, and the credibility of our profession. If Bob Wachter, MD is a true physician advocate and is now having a genuine conversion experience, he would be speaking out about these abuses of physicians' trust. In fact, as the "Most Influential Physician Executive and Leader 2015," he would be leading this charge. Or perhaps I am missing something. Meanwhile, despite all of the fast-paced changes in health care under way, the same rubber soles continue to speed down linoleum hallways, call lights blink, keyboards pound, family meetings are held with tears shed, young physicians wonder how they'll pay their educational debt, productivity quotas expand, administrative meetings multiply, patients grow furious about their rising premiums, co-pays and deductibles, physician autonomy and morale withers, and patient access to their doctor shrinks. Despite these concerns of a few of our bureaucratic medical policy elite, practicing physicians remain little more than an account to be landed, a work to be optimized. To them, practicing physicians represent an opportunity to invest in new corporate ventures like Health2047, no doubt for the "love" that's involved. The respectful partnership that practicing physicians would like to have would not include the many corrupt financial practices and undisclosed conflicts of interest of the AMA and the ABMS specialty board credentialing system, their collaborating subspecialty societies, and numerous for-profit physician reporting businesses. They invoke ethics, morals, and "love" at their own risk. In my career, I'm unaware of a broader breach of the trust of working physicians and of medical ethics by fellow colleagues than by those who secretly created the ABIM Foundation in 1989 and then funneled over $55 million of testing fees collected from working physicians while hiding its existence from physicians and the public until 1999. Yet many in our academic and bureaucratic physician community continue to support this testing agency that appears to have been expanded solely for political, corporate, and personal gain, and are indifferent to them using strongman tactics with physicians. What a perverted form of "love." "It is the ethical dimension of individuals that is essential to a system’s success. ... Commercialism should not be a principal force in the system. That people should make money by investing in health care without actually being providers of health care seems somewhat perverse, like a kind of racketeering." Right now there are residents who have no idea how they'll ever pay off their educational debt and millions of patients who can't afford insurance or their drugs. If the House of Medicine can't look inward at its own bloated, self-serving, bureaucratic ranks of the ACGME that are sucking the life from direct patient care, what does this say about the prognosis for US health care? As Tina Turner once sang, "What's love got to do with it?" Reference: Donabedian A. A founder of quality assessment encounters a troubled system firsthand. Interview by Fitzhugh Mullan. Health Aff (Millwood). 2001 Jan-Feb;20(1):137-41. Are ABIM-certified Physicians Research Subjects? 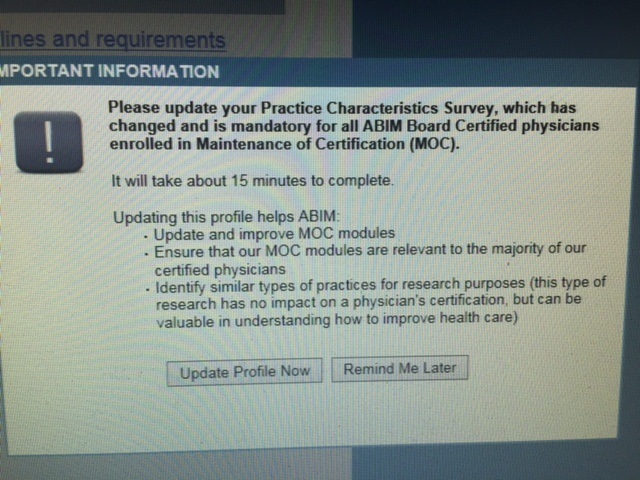 I logged on to the ABIM website last evening and was greated by this pop-up screen. It seems the ABIM is in the business of "research" at my expense to "understand how to improve health care." They are mandating that I enter my "practice characteristics" in a 15-minute survey. Yet I have no idea what the ABIM's "research" entails, I have not been informed how that "research" will be conducted, nor how it might affect my ability to practice medicine, or if my information will be sold to other entities for a price on the basis of the ABIM's valuable "research." Since we know that the ABIM has partnered with companies like Premier, Inc (which just purchased CECity, Inc a subcontractor for the ABIM from 2010-2014) for $400 million, I would like to review the research protocol the ABIM is conducting, the risks and benefits to me for that research, and how my data will be used and protected. The ABIM should be aware that the Department of Health and Human Services has VERY specific rules and regulations (45 CFR 46) about how "research" is to be conducted, particularly as it pertains to the protection of human subjects like myself who have increasingly found their ability to practice medicine in a hospital setting compromised unless we participate in the ABIM's Maintenance of Certification (MOC) program. We have not been given proper informed consent and, instead, find that this data entry in "mandatory for all Board Certified physicians enrolled in Maintenance of Certification (MOC)." Furthermore, physician's are aware their "MOC status" is being sold by the American Board of Medical Specialties (ABMS) via its ABMSSolutions.org website to a whole host of third parties for a fee. Needless to say, I won't enter this information until the ABIM makes public the "research" protocol they are conducting. Richard Baron, MD, ABIM President and CEO, needs to explain to all ABIM diplomats why they are ignoring Health and Human Services regulations on the protection of human subjects (physicians) in their collection of "practice characteristics" for the purpose of improving health care. Anyone who has followed this blog for some time knows that much of my research on the American Board of Internal Medicine (ABIM) and the ABIM Foundation was performed using Internet Archive's Wayback Machine available at http://www.archive.org. It seems the ABIM no longer wants a record of the changes they make to their ABIM website recorded at archive.org and have opted to have all ABIM archived web pages available after 1 January 2014 removed from the archive.org website. While this is not illegal and any website can opt out from having their web page modifications tracked on the archive.org website, this development is not consistent with the ABIM's promise of transparent policies and practices toward practicing physicians.